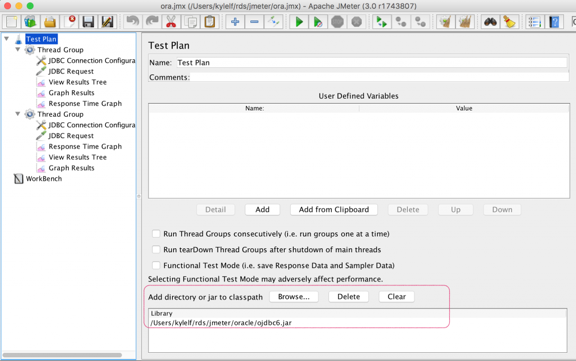 To use this file, save it as pgload.jmx and then open it up with Jmeter. Change the database URL with host, port, database name, and fill in your username and password. where “machine.com” is the machine running PostgreSQL and “database” is the name of the database you are using in that instance and “5432” is the port to connect over. You have to make TWO connection string changes. 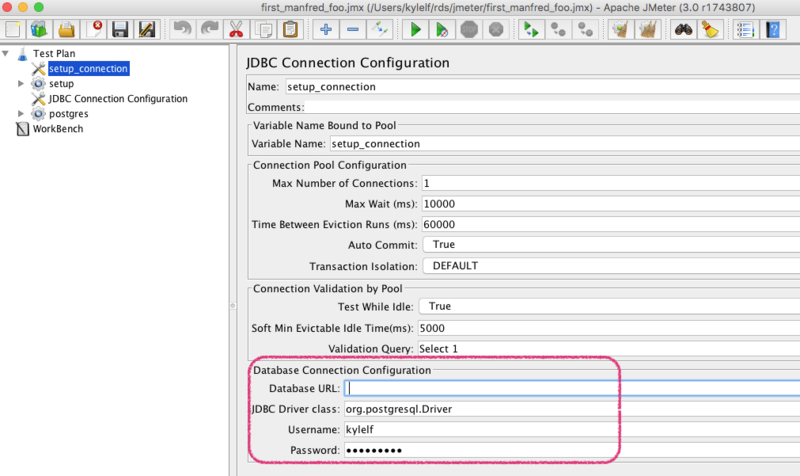 One is as shown above for “Setup Connection” and the other is 2 rows below “JDBC Connection Configuration” where you make the same changes. Then just hit the green triangle to start the load. The load will create a table named authors, a sequence called serial and an index called author_id if these don’t already exist. It will then run inserts, deletes, updates and selects on this table.